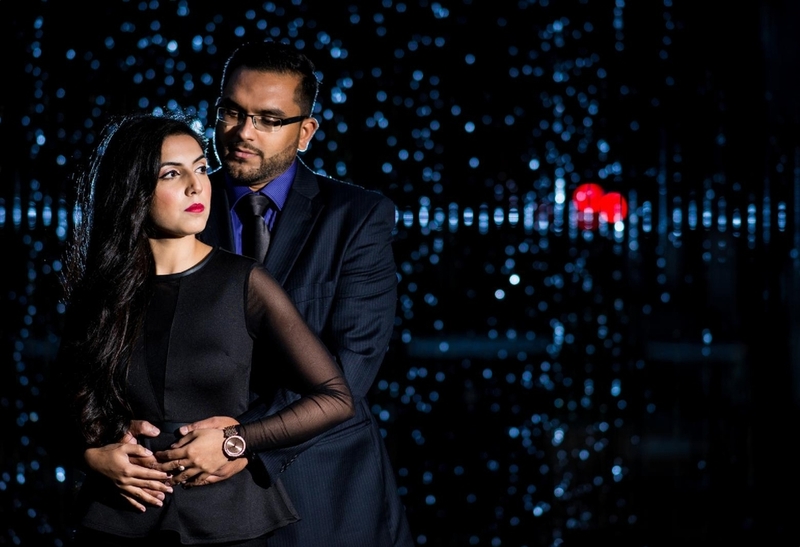 Aiza and tabish, my most glamorous couple of the year whose luxurious wedding was an honor to cover. Over the course of two years from our first meeting to our countless others we became great friends infact buddies. A dream come true to find great friends who share your style and vision as clients. As the photographer for the wedding gala held in October I was welcomed to the event as a family member, so I wasn't only covering the event but were a part of it. That is why this wedding is close to my heart among the 2015 weddings. 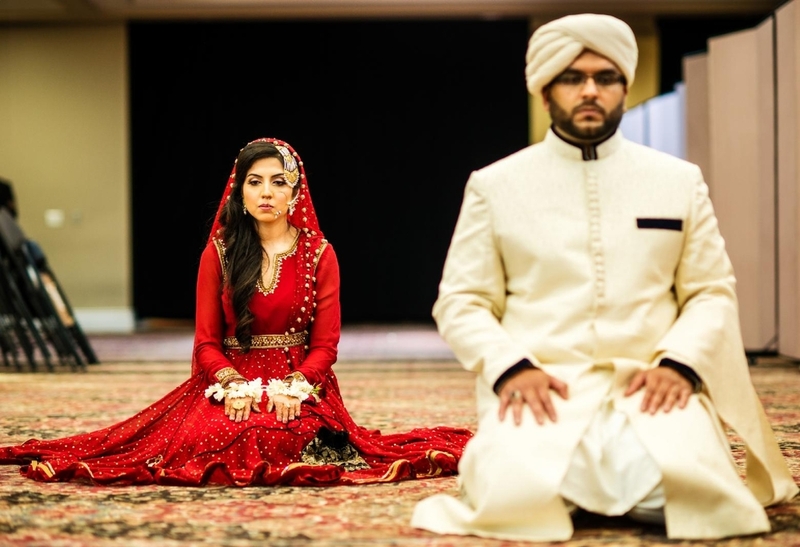 Lets begin with the beautiful nikah ceremony which was held at the Jaffari Shia Mosque. A small intimate yet lavish affair ceremony which had been planned for months toook place on August. The grand mosque had its own grand aura which beautified the lovely ceremony. 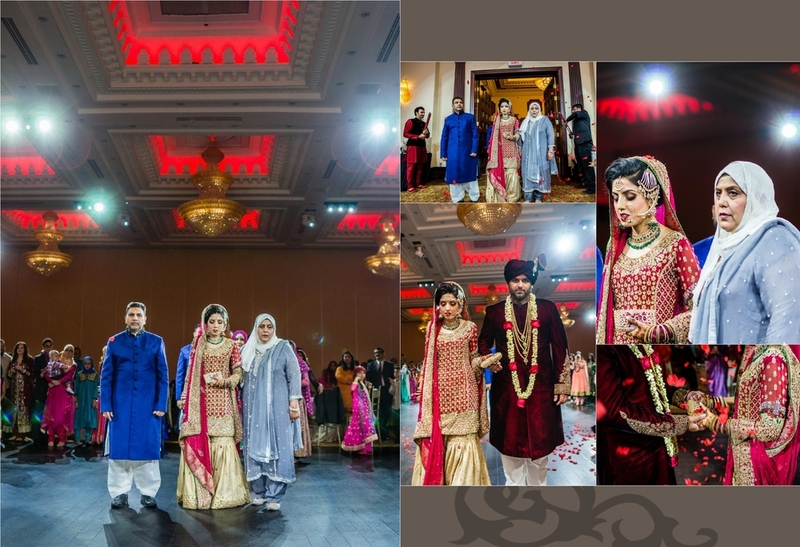 Aiza dressed in traditional elegant red looked gorgeous and tabish looked handsome dressed in black kurta walking together through the corridors of the mosque , welcoming each other into their lives. Below are the beautiful moments of couples first pictures together as a married couple. Next we had two eshoot sessions planned. One session was fine art portraits at the Osgoode hall. It was beautiful day in September with summer coming to an end but we still managed to get some nice sunshine and blooming flowers in the background despite the rainfall on the day. 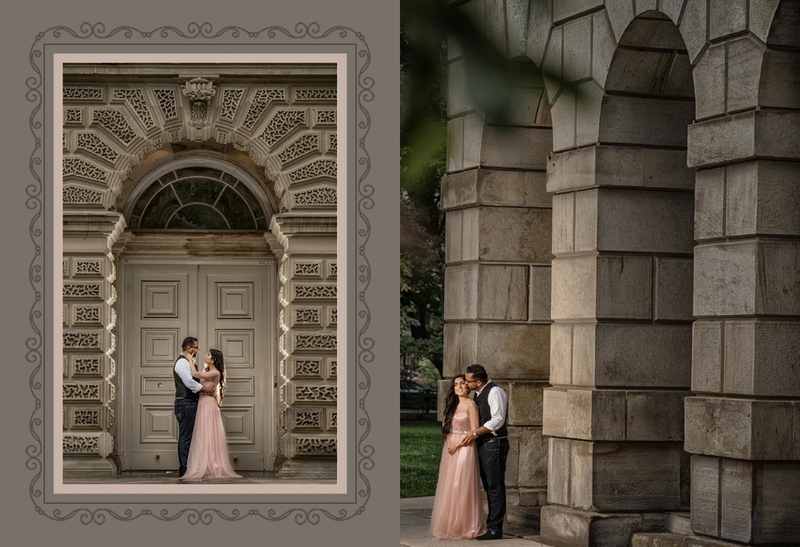 My pictures not only capture the beautiful architecture of the location but as well the beautiful couple posing together for the first time lost in each others eyes. Love was every where! 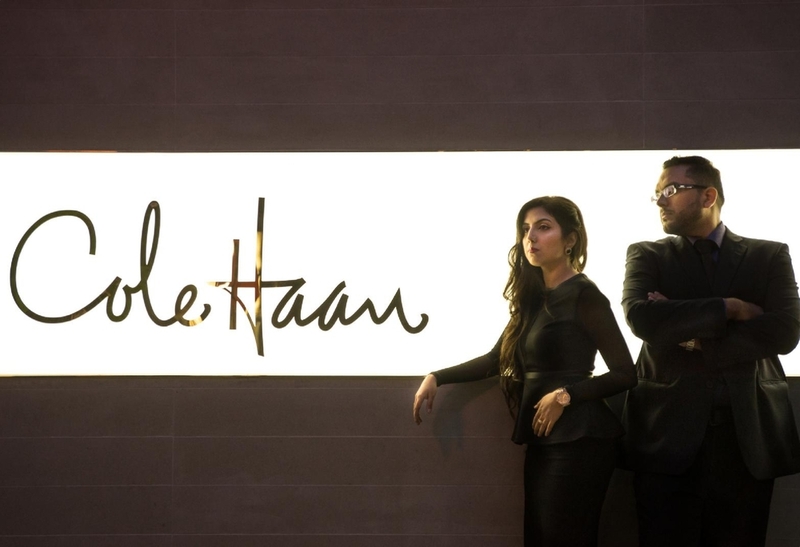 The next session was at Yorkville which was more of a glamorous and formal shoot. As we roamed around Yorkville for some great editorial pictures it did rain, but my brave couple posed for some breathtaking rain shots which you will find below. 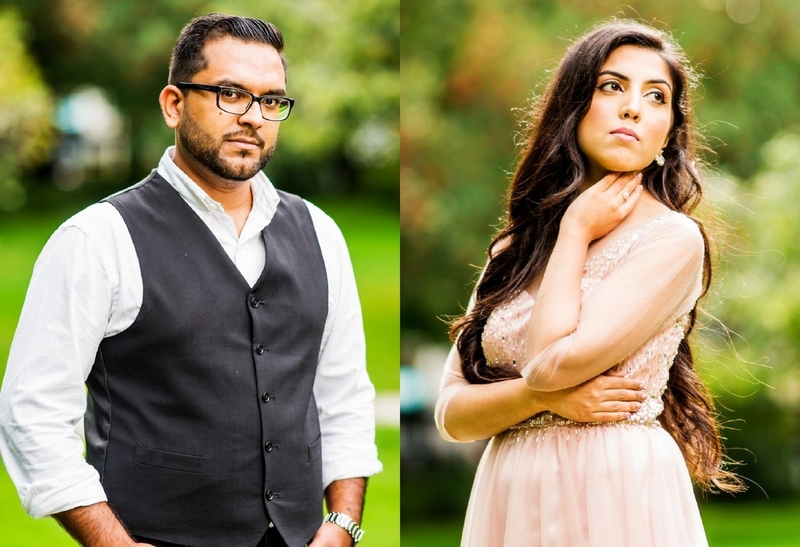 The engagement shoot and Nikah was only the beginning, I could imagine of what a GALA event was laying ahead of me for October at Grand Empire. 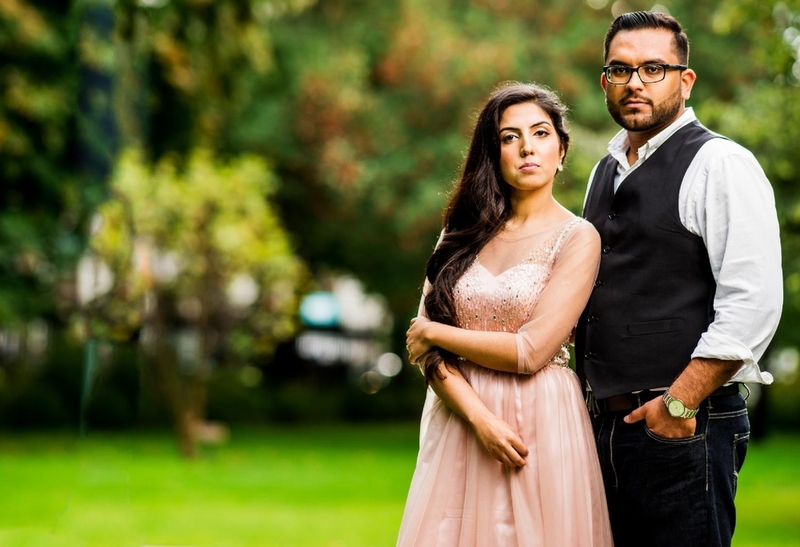 The couple shared with me that they had been planning their wedding for almost 3 years, Tabish's grand TAJ dress was designed by AIZA herself from Pakistan and took over a year in the making. You can see in the pictures how I have done justice to each & every single detail from the luxurious velvety shoes to the grand beaded turban. A typical Tipu Sultan look. The groom looked like a king 'shahenshah' as he entered the hall , everyone was in awe of his attire. 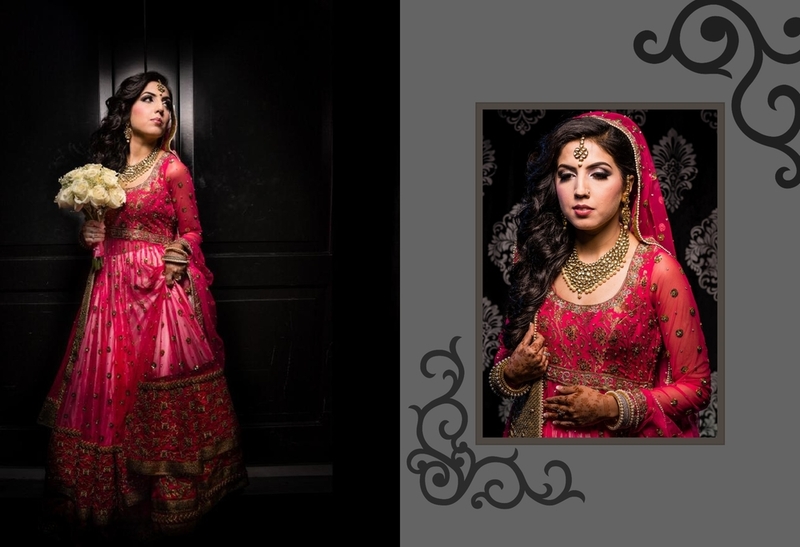 The beautiful bride Aiza is the awesome designer behind all their dresses and designing their jewelry. 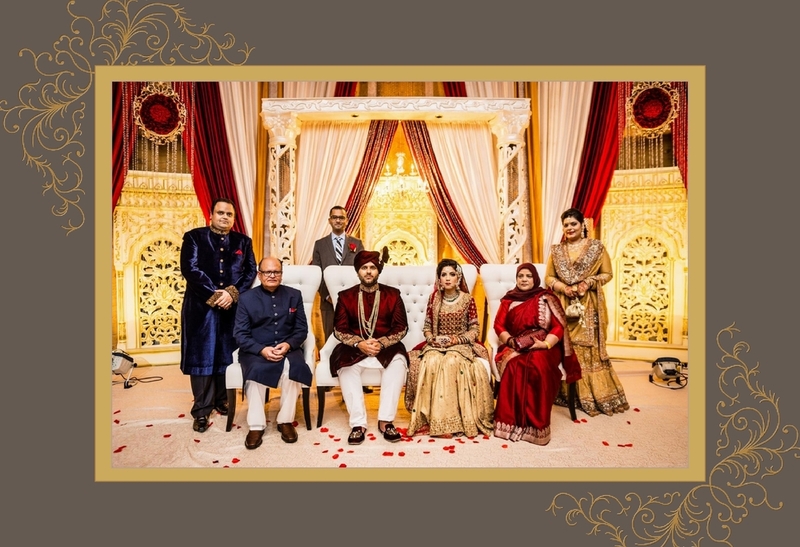 The pictures below cover the wedding saga from the bride & groom getting ready shots, 20 Mins of couple shoot, barat till the rukhsati. The last event was the Grand reception at Apollo convention centre which again was like no other reception I ever attended. It wasn't your regular bride groom reception, but was much more. With beautiful rasms, emotional speeches, lovely shairi and families welcoming the new bride and groom with joyfully sung songs. It was such a beautiful event to capture. 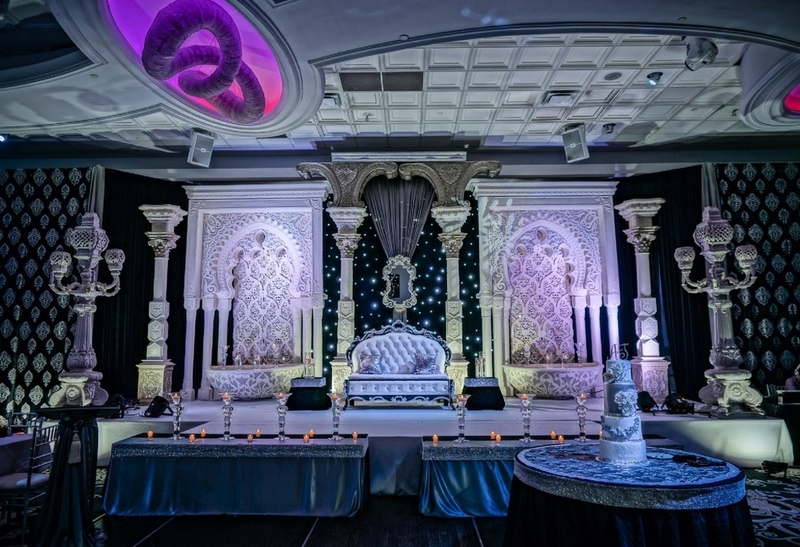 The decor for the event was done by dream party decor and cake by ' Fine cakes by Zehra' added another element of luxury to the event. The lovely fuchisa dress of the bride had everyone gaze at her beauty, told to me by Aiza that it was her dream dress and took two years in making all the way from India. It indeed was very pretty. 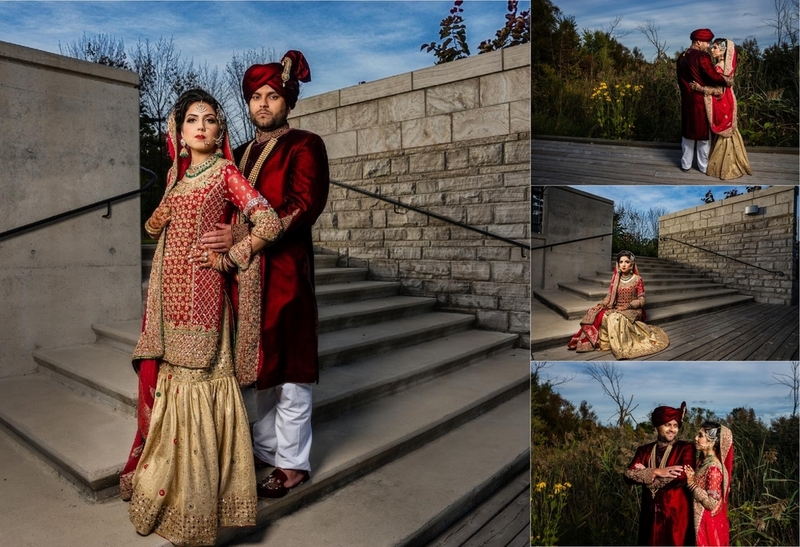 Her portrait shots and couple shoot captures nicely their dresses and details for both days of WEDDING & WALIMA. 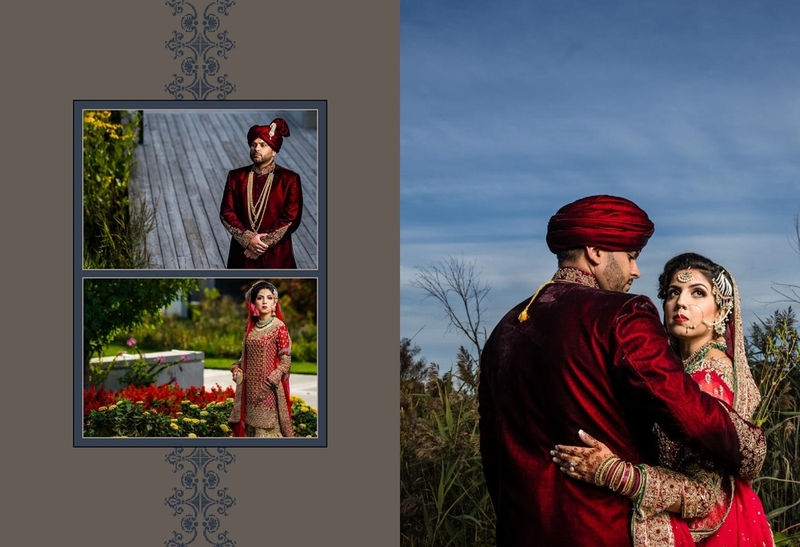 I enjoyed their wedding as a photographer, guest and family member and take pride in the pictures I have captured. 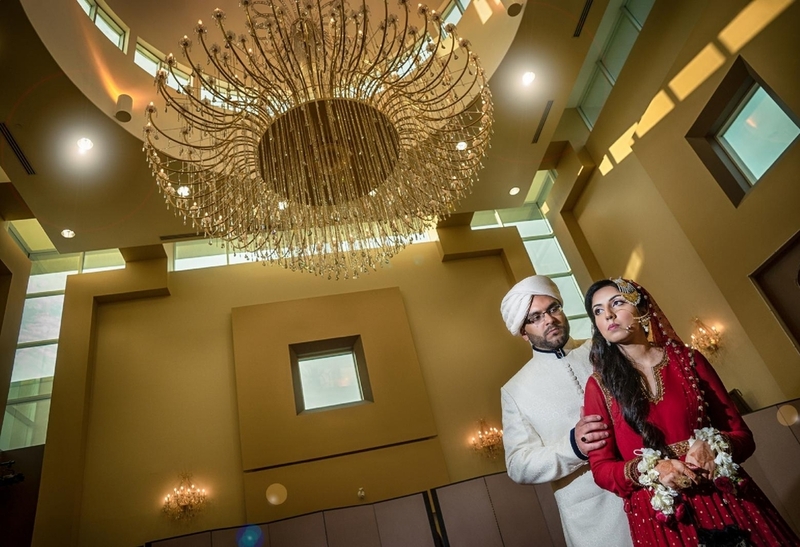 The couple is in awe of their wedding pictures who now have become my die hard fans. I am already booked for their first anniversary shoot and many more ahead. Below is the ALBUM i've made for them.